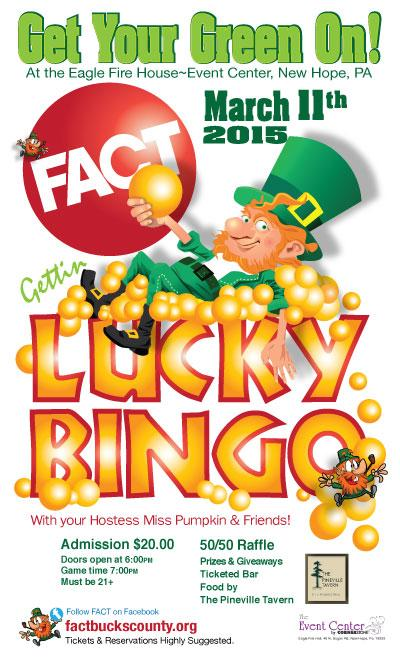 Our BINGO has become so popular that we pack the house each time. 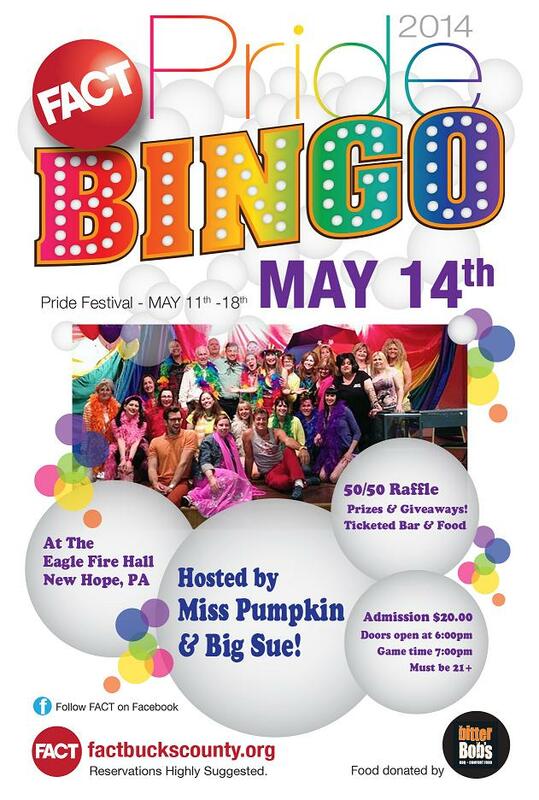 Held quarterly at The Event Center (New Eagle Fire House), they are themed events and attendees arrive in a fun array of costumes and are treated to not only several games of BINGO with great prizes (cash & more), they also are entertained by our BINGO caller, Miss Pumpkin of New Hope, as well as by our volunteer drag ladies. 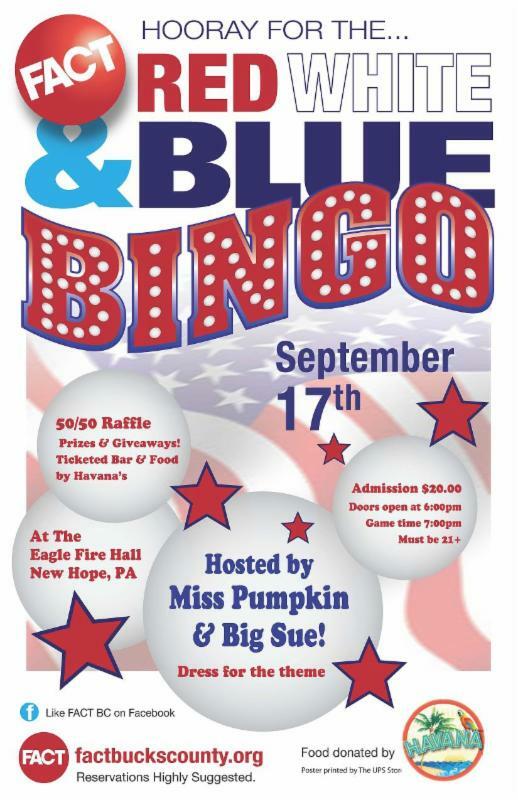 The $25.00 entrance fee gets you, BINGO “boards” and includes dinner, which is generously donated by local restaurants. 50/50 Tickets (For a lot of CASH and a lot of local business donated prizes) and “Special Games” with great prizes are also offered throughout the evening. We guarantee a crazy~great time and reservations are required that can be made easily online. 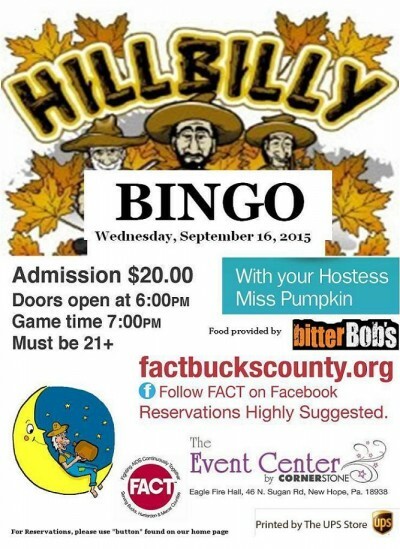 Our BINGO Events sell our quick so we recommend that you reserve your seat(s) early. When we announce the next BINGO, we open up the reservations line; so make your reservations as soon as possible. 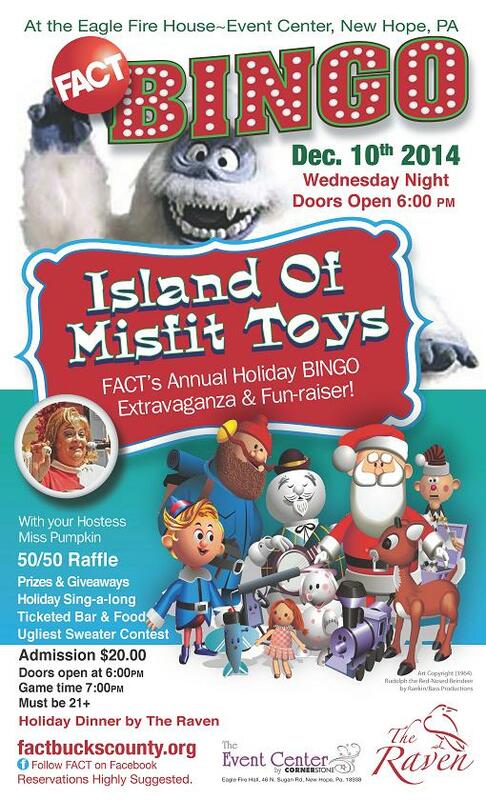 Here is a list of Past BINGO events & sponsors. These restaurants and businesses have always been there to help FACT Bucks County. 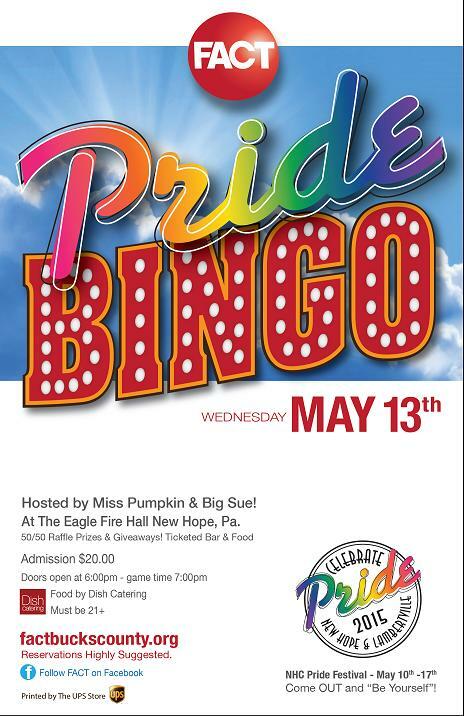 Please support these businesses that have been so generous and allow us to raise funds for prevention & education programs and to assist people living with HIV-AIDS in Bucks, Mercer and Hunterdon Counties. 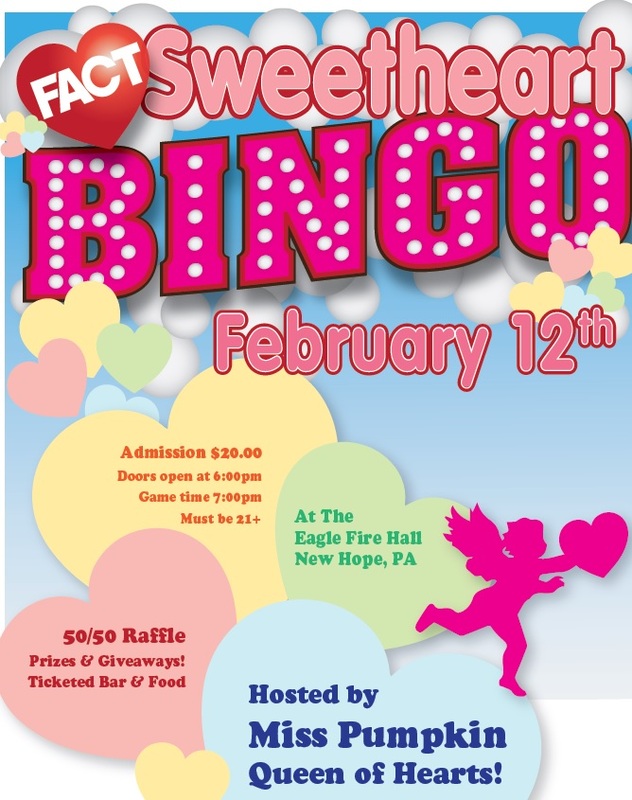 Looking to be a BINGO sponsor? Join us and relax in a casual tavern setting while enjoying our chef’s fresh, delicious and affordable dishes, creating a perfect combination for connecting with family and good friends as well as meeting great new people. We’re now serving food at the Lambertville House check out our amazing “Sunday Brunch” and other menus on our Dish at the Lambertville House FACEBOOK page. Bitter Bob’s is New Hope’s newest casual restaurant and BYOB serving up a unique yet authentic style of BBQ and some great comfort food. With years of experience creating memorable events of all sizes, Bux Catering focuses on great food and outstanding service, all at a reasonable price. Dining, Music, Nightlife…A New Hope Fun Spot! Established in 1979, The Raven has become an institution for the people living, traveling and discovering the beautiful scenery that New Hope, Pennsylvania has to offer.